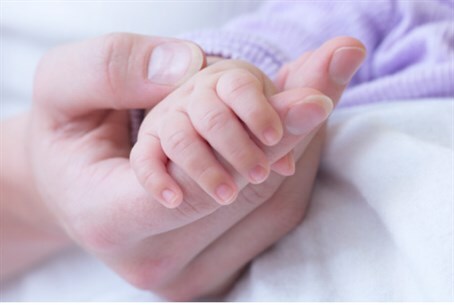 Soroka Hospital in Be'er Sheva takes steps to ensure newborns do not get whooping cough after a nurse diagnosed with the disease. The Soroka Hospital in Be'er Sheva is taking extra cautionary steps after a maternity ward nurse was diagnosed with whooping cough. About 150 newborns who spent time in the nurse's department will be brought in to receive preventative treatment. A hospital spokesperson announced, "According to the information we have received, the maternity ward nurse who came down with whooping cough has been treated and is recovering. After consulting with the Ministry of Health and specialists, we have decided to be cautious and will call in the babies who spent time in the nurse's department for preventative treatment in our pediatric ward. The hospital further stated that "the treatment includes medical checks and oral antibiotics designed to prevent infection. Doctors and nurses from the pediatric ward will schedule person discussions with the newborns' parents in order to explain the low chances of infection, the importance of caution, and of preventative treatment. As stated, only the parents of babies who need preventative treatment will receive personal messages and invitations to be checked. "In order to remove any doubts, the hospital has decided to take further precautions and invite the newborns for checks. Up to now, we are not aware of any babies who were referred to the hospital out of concern that they were infected. The disease's incubation period for adults is shorter and has already finished, so any new mothers who have not yet become sick do not need treatment."